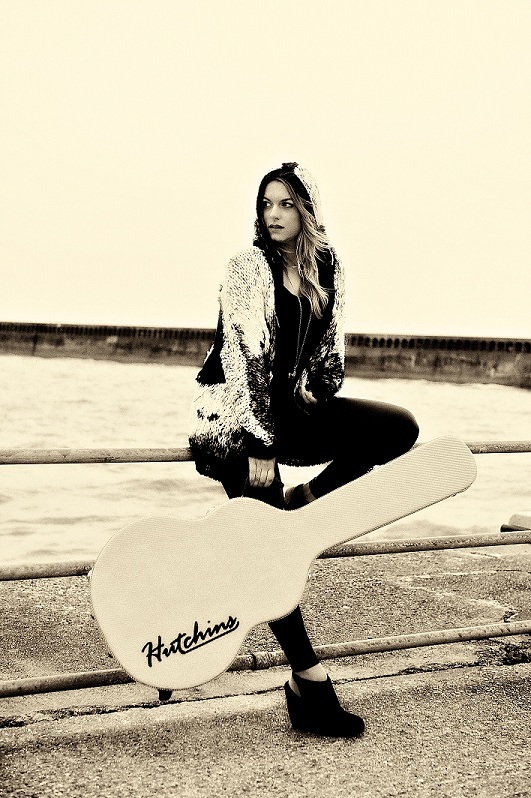 Jo Harman is an original British singer-songwriter and band leader whose work is broadly influenced by blues, gospel, soul, country, rock and other ‘roots’ sensibilities. In March 2014 the Daily Mirror, as part of a half page interview, described her as ‘the finest female soul blues singer in the UK’. Emerging initially as a ‘word of mouth’ independent, Jo remarkably secured over 50 UK and European festival gigs over in 2013, including prestigious slots at the likes of Cheltenham and Edinburgh Jazz Festivals. Last summer Jo was one of only 12 (otherwise household name) artists appearing at Parkpop in the Hague, performing to over 300,000 people. Moreover, late last year she performed alongside names like Robert Plant and Van Morrison at BluesFest at The Royal Albert Hall in London for Live Nation (Jo’s performance being broadcast by Radio 2 and Radio 6 Music) and she has been asked to re-appear in 2014. Jo also appeared on prime time European TV and mainstream radio, as well as making three appearances within 6 months at the world famous Paradiso, Amsterdam. Jo’s 2013 debut album ‘Dirt On My Tongue’ received remarkable critical acclaim making vaious of ‘best of’ lists and awards, internationally. She subsequently signed to V2 (stable mates include Adele, Mumford and Sons, Queens of the Stone Age etc) in Europe and the album entered the Netherlands album charts. Recently, Huey Morgan (Fun Lovin’ Criminals) said on his BBC Radio 2 show ‘Sometimes you hear a singer who leaves you speechless – I am’. In Summer 2014, Jo releases a new album,’Jo Harman and Company – Live At The Royal Albert Hall’, recorded by the BBC. This year, her international touring schedule extends to Festivals in France, Germany, Spain and the Caribbean, as well as continuing many significant festival (Isle of Wight included), theatre and major club shows in UK. She and her band have just received no less than 4 nominations for this years British Blues Awards, including best singer, as well as best songwriter, in 2014 alone.